Good morning all! Is it Monday already? I love this pair together! My card base is A6 Kraft card. then popped up on some foam tape. The sentiment was cut with a spellbinders speech bubble die. with us in the challenge! 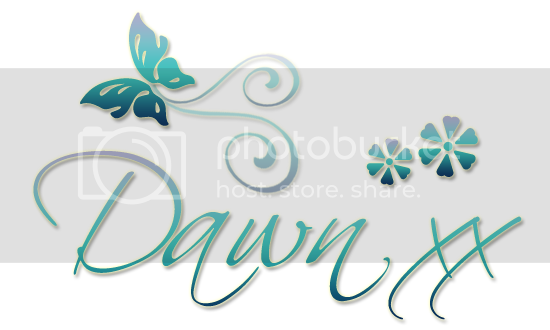 Hi Dawn, love this card. The image is so sweet and I really like the red tape against the kraft card. What a great Digi stamp and sentiment, cute card. A fun card Dawn, such a brilliant image and great sentiment. Oh be still my heart, love, love the kitties, that image just might have to become mine! Adorable card, absolutely love it! Great card Dawn. Love that sweet image with all the kitties. 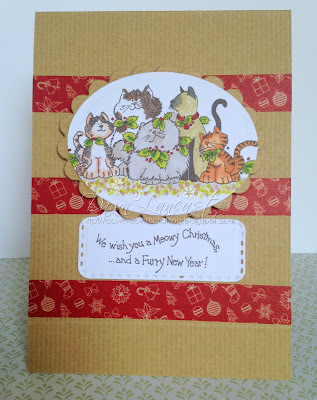 Oh I love this card and the Christmas kitties are gorgeous. It's a kitty christmas! Thanks for your entry at Brown Sugar Challenges. Take care. 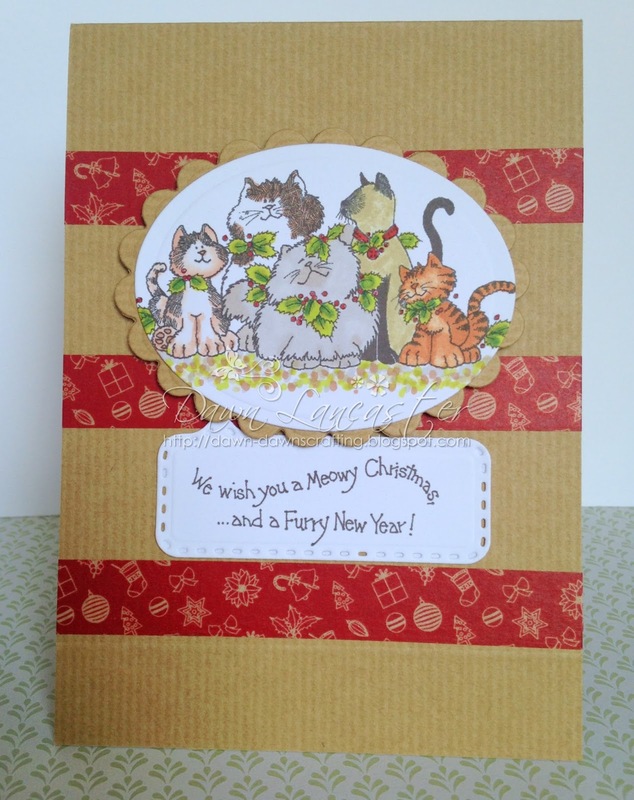 "PURR"fect card!! it is adorable! Thank you for joining us over on the HIMCR blog! Purrrrrfect Christmas card. Thank you so much for entering our challenge at Creative Fingers Challenge Blog this week. Looking forward to see you again next challenge. What a pretty kitty card. Too sweet and makes me miss my kitty who's passed away.